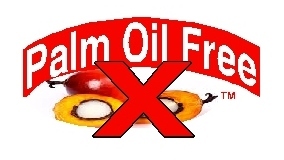 Palm oil free. Since 1999, handcrafting moisturizing, all-natural soaps, whipped shea butter moisturizers, solid lotions, scrubs, all-natural bug repellents, and other body care products. We have many different recipes including goat milk soaps, sea salt soaps, psoriasis soap, and more. All products are palm oil free. Retail and wholesale. Sorry, but NO SHIPPING from April 20 through April 30. We will be out-of-town. Shipping will resume on May 1, though it will probably take us several days to catch up. We apologize for the convenience. If we are not on the road at an event, we normally ship orders within 24 hours. Flat fee shipping of only $5.95 --- order 1 item or 100 items, shipped anywhere in continental USA. Click the "Where to Find Us" tab on the left column to see our full calendar of confirmed events, or stop at one of the retailers who carry our products. NEVER! Sunrise Showers' products have NEVER been tested on animals! All Sunrise Showers Soaps are Palm Oil Free! Not force the relocation of indigenous people and the destruction of their villages. Not contribute to human rights violations and forced child labor. Not contribute to the extinction of the orangutan, Sumatran tiger, and numerous other endangered rainforest animals. Yogurt Baby!!! We take goat milk soap to the next level! Yo! Bar(TM) soaps are made with goat milk yogurt. Naturally rich with lactic acid, Yo! Bar(TM) will help to slough off dead skin cells. Gentle enough to use for daily facial cleansing, Yo! Bar(TM) will leave your skin glowing and nourished. With a high concentration of natural zinc, Yo! Bar(TM) actively fights acne and skin blemishes. The lavender and patchouli essential oil combination vitalizes the senses, mind, and body. Yo! Bar(TM) is made with food-grade vegetable oils, and contains natural glycerin, produced by the soap making process. Pamper yourself! Keep your skin radiant, supple, and silky smooth with this superior exfoliator to revitalize, rejuvenate, and rehydrate. This scrub will leave your skin soft and glowing, after sloughing off dead skin cells and impurities. Psoriasis and Eczema Relief soap provides all-natural soothing for the itchiness, inflammation, flakiness, and skin irritation caused by these skin conditions. It tends to calm down the uncomfortable symptoms. Made with Goat Milk, the lactic acid in the milk helps to gently remove dead skin cells and hydrates and nourishes the skin. Calendula herbal oil, licorice root extract, and chamomile extract have been renowned for centuries for their anti-inflammatory, antimicrobial, and antiviral properties. Silky colloidal oatmeal has a calming and soothing effect on irritated skin. Emu oil and aloe vera offer penetrating relief for skin discomforts. Honey, used since ancient times, softens and moisturizes the skin, and contributes anti-bacterial properties. Purposely UNSCENTED -- nothing added that might cause further skin irritation. Sue K. from Chicago writes: "I have suffered with psoriasis since I was a child, and tried everything my dermatologist prescribed. Nothing works like this soap and That Amazing Stuff Psoriasis & Eczema Relief Whipped Shea Butter. Now my psoriasis stays under control. Thank you for some great products." Ken J. from Green Bay writes: "I use this soap daily to help keep my psoriasis under control. I used to suffer with all the itchiness, then scratch my skin, and then it would just get worse. This is a wonderful product. I recommend it to everyone I know who has psoriasis. It works." I've been using the shampoo for about a week now and I love it! :) Great product! Jessica T.
The best soap ever!! I've been ordering for many years and have never found one to match your soap for value and quality. Susan F. B.
I bought a tub of your Psoriasis and Eczema Relief, That Amazing Stuff, at the Cincinnati Holiday Show. It has really helped my daughter's hands. Jamie L.
I had bought a soap and lotion at a craft fair that treats psoriasis. I love it and need to get more. Nicole R.
I picked up a small container of Whipped Unrefined Natural Shea Butter Argan!. I used it on my face for my wrinkles and really love it. Bonnie D.
I already got the package on Wednesday and shouldn't have sniffed and sniffed the bars as much as I did. But they smell soooooo good. I am now hooked on your soaps. Wendy J. Got my order yesterday. Wow that was fast!! Thank you!! Amanda P.
I purchased some of your body butter at the WI State Fair. It is really awesome. Ann S.
LOVE this stuff. A friend's mom had bars of soap and lotion at her wedding shower as gifts and they all smelled amazing! I'm giving them as gifts to my family. Teresa H.
This is my favorite soap and has been for a long time. It's the best!!! Susan B. As always, I love your soap. Giving it to my whole family for Xmas. Adam Z. Thank you so much, we love your soaps! Mike Y.